Most of my clients wish to organise their whole wedding outside in gardens, from the ceremony to the wedding diner. That’s indeed a very good idea and that’s why many bridal couples select French Riviera as a destination wedding. They are 99% sure about the weather …but what happens if unfortunately it rains ? What is your backup plan ? Usually you have to set up a tent or to choose a wedding venue with an indoor reception room. Now you have Organic Concept ! Organic Concept is a new company on the French Riviera. Stephanie and her husband started their business 3 years ago in order to offer another option to the bridal couples. Organic Concept is a brand coming from South Africa and their tents are very original. First, they are much easier to set up than traditional tents. 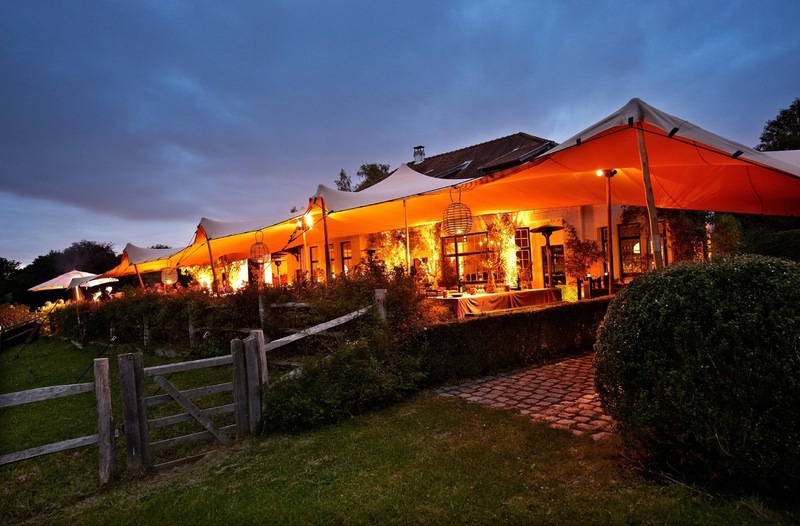 Their tents can adapt to every kind of venue, thanks to the high elasticity of the Neoprene canvas. The eucalyptus wooden posts are used to define a specific shape. 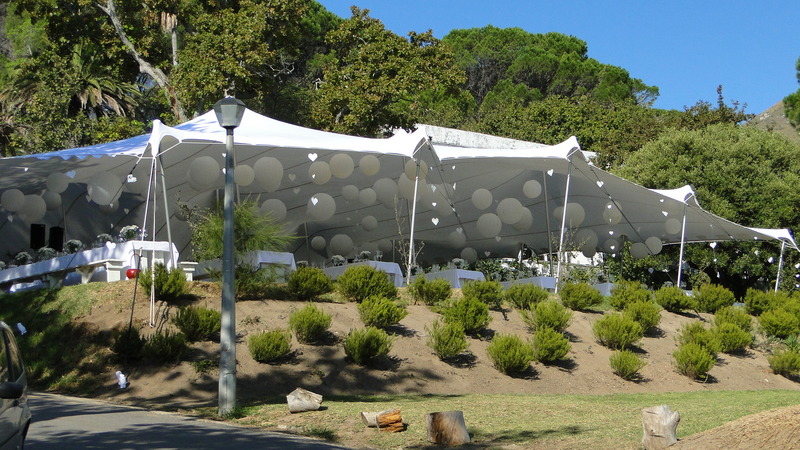 Thus, with the same tent (I mean the same dimension), you can have each time a unique tent according to the wedding venue, your tastes and your needs. Besides, the set up is much quicker ! So you can decide to use you backup plan on the very early morning of your wedding. Indeed, you will have to book your Organic Concept tent and ask Stephanie or her husband to come to your wedding venue to see how and where they can set up the tent. But in any case, paying a deposit for this backup plan will be less expensive than using a traditional tent. 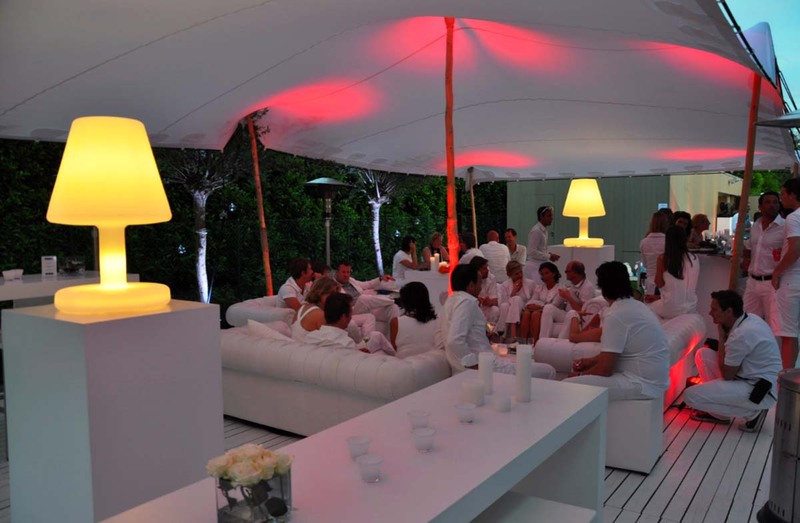 As a matter of fact, once you have the tent set up, you don’t need to add too many elements of decor. The tent is by itself a nice and orginal decor. On the contrary with the traditional tents, with white plastic roof and walls, you need to make some improvements !